Margate is a well-known and desirable area, attracting families and other residents who enjoy a relaxed lifestyle, but it also is a high personal injury area because a lot of commuters also move here, as there is convenient access to I-95 and the Turnpike. Quick access to highways also means more cars in the area, which can lead to more accidents, even in a smaller city like Margate. Traffic collisions are the number one reasons for personal injury in Margate, and often lead to disputes over who was responsible. This can be especially taxing if you have serious injuries. Stressing over who will pay your medical bills should not be something you are concerned with when trying to heal and get back to life as normal as possible. A personal injury attorney and accident lawyer serving Margate is beneficial in these cases as they can handle everything that needs to be done, from contacting the opposing party’s insurance company, your own auto insurance company, as well as handling any paperwork and evidence collection to keep your case strong. They will also take it to trial if need be, and work to get you the compensation that you deserve. INJURED? 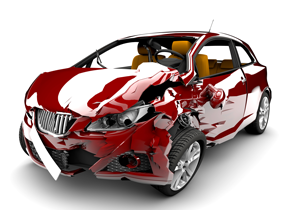 A Personal Injury and Car Accident Lawyer Serving Margate Can Help! Negligence can also happen in the workplace when unsafe conditions and practices are not dealt with. If you are injured at your job while working due to some kind of spill that was not cleaned up, or some other unsafe condition, Florida state law protects you, holding the business accountable. The same goes for medical practices who do not give you the standard of care they are supposed to, leading to malpractice in the form of misdiagnoses or other problems from an operation that did not go well. All of these are cause for you to claim compensation for the injuries you sustained, work you missed, and the suffering you endured because they broke the law. Personal injury lawyers fight to make sure you get the amount you need to cover your medical bills and get you back to your life. If you or someone you love is seriously injured because of someone else’s negligent behavior, do not hesitate to contact a personal injury attorney or accident attorney serving Margate residents. A good attorney can tell you honestly of your chances are at obtaining maximum compensation.